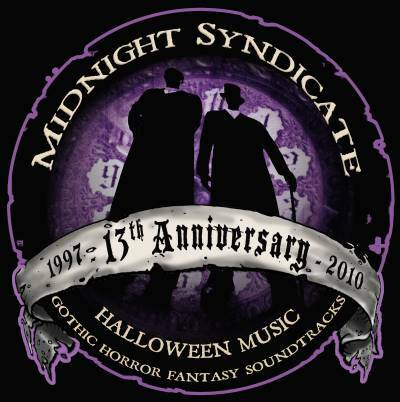 MIDNIGHT SYNDICATE GOTHIC HORROR SOUNDTRACKS The night beckons you . 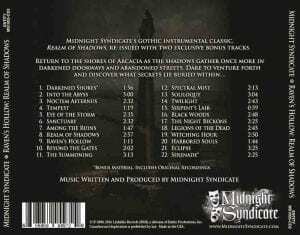 . .
As Midnight Syndicate, dark music pioneers Edward Douglas and Gavin Goszka have been producing Halloween music and gothic, fantasy, horror soundtracks for the imagination for over twenty years. The standard for Halloween, Haunted Attractions, and role-playing games, their CDs are designed to take you to the darkest and most fantastic corners of your imagination. So dim the lights and journey forth . . . if you dare. ZOMBIES!!! BOARD GAME SOUNDTRACK UNLEASHED! PREVIEW TRACKS POSTED. Midnight Syndicate has released the Zombies!!! Official Board Game Soundtrack along with a two preview tracks, Slight Miscalculation and We're Screwed. The new release features Midnight Syndicate's signature blend of sound effects and instrumental music set in the modern day, post-zombie apocalypse world of the Zombies!!! board game. "We wanted to design a soundtrack that would not only heighten the Zombies!!! game play experience, but also appeal to all fans of zombies and our friends in the haunted attraction industry," said Edward Douglas. "I think we were able to achieve that." "Given the character and core elements of the game, I think that both of us immediately felt that this album should focus on having a more modern, aggressive sound. In order to achieve that, we brought in a lot of electronic and percussive instruments and kept the fundamental game scenarios firmly in mind, approaching it more as an actual soundtrack than as a collection of songs built around a particular theme or setting. While there are a few tracks that are more situation or location-specific, most are intended to evoke the general feel and atmosphere of the game world, allowing you to play along without interruption," added Gavin Goszka. 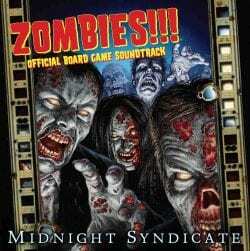 "The soundtrack is a perfect complement to the Zombies!!! board game," added Twilight Creations co-founder, Kerry Breitenstein. "I couldn't be more excited for the Zombies!!! fans to hear it, let alone the rest of the world!" The album is available at the Midnight Syndicate Store as well as digitally on CDBaby, iTunes, and Amazon.com. REALM OF SHADOWS ALBUM REISSUED WITH NEW MATERIAL. AVAILABLE DIGITALLY. Midnight Syndicate's 2000 gothic instrumental classic, Realm of Shadows has been reissued. Raven's Hollow: Realm of Shadows Reissue includes the original recordings with a new introductory track and a previously unreleased song from the album's 1999 studio sessions entitled, Serenade. The album is available digitally through CDBaby, iTunes, and Amazon MP3, as well as being available on CD at the Midnight Syndicate Store. 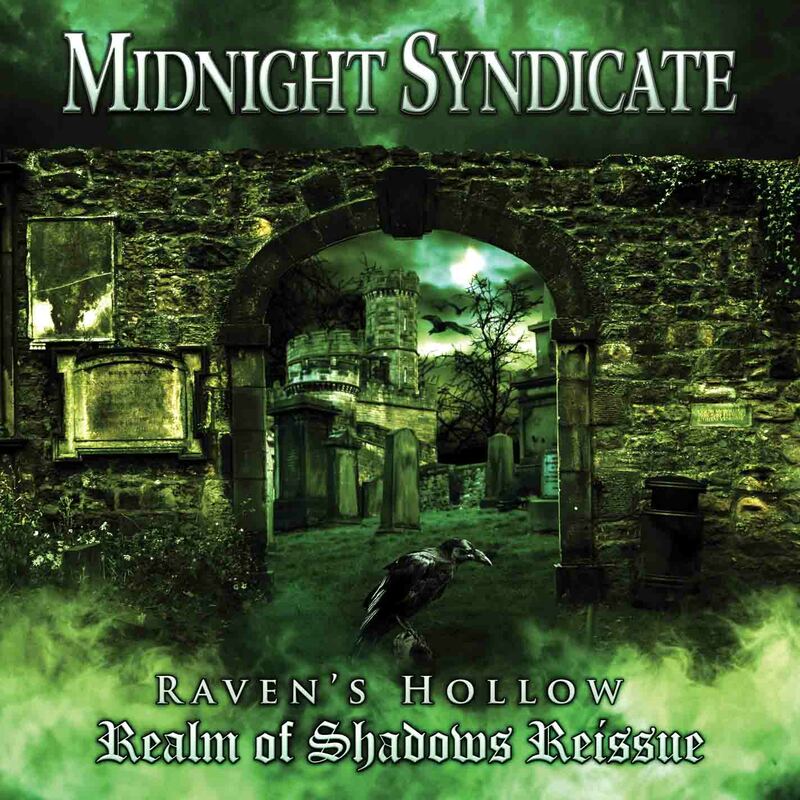 Regarded by many as one of Midnight Syndicate's seminal works, Realm of Shadows was one of the albums that helped established the band's signature style and solidified their reputation in the gothic, Halloween, haunted attraction, and horror music communities. You can listen to the previously unreleased track, Serenade, on Midnight Syndicate's YouTube Channel. GOTHIC CHRISTMAS ALBUM, CHRISTMAS: A GHOSTLY GATHERING AVAILABLE. PREVIEW TRACKS POSTED. 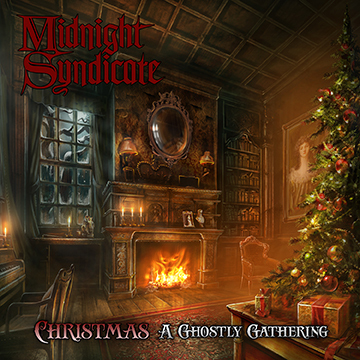 Midnight Syndicate's haunted, Yuletide-inspired, dark instrumental album, Christmas: A Ghostly Gathering, is available on iTunes, CDBaby, Amazon MP3, and the Midnight Syndicate Store (where all orders receive a limited edition set of three Midnight Syndicate holiday postcards while supplies last). The response to the album has been absolutely amazing. If you'd like to hear what some fans and press are already calling a Midnight Syndicate masterwork, check out these four preview tracks: Night of the Krampus, Up On The Housetop, Coventry Carol, Carol of the Bells, and Dance of the Sugar Plum Fairy on the Midnight Syndicate YouTube Channel. 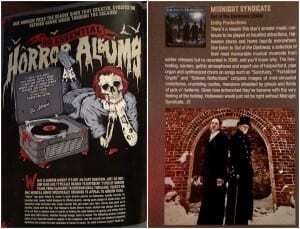 Midnight Syndicate's Out of the Darkness album was included in Rue Morgue's list of 50 Essential Horror Albums - Discs That Created, Evolved, or Defined Genre Music Over the Decades. "To be included in the same category as Black Sabbath, King Diamond, Alice Cooper, Blue Oyster Cult, John Carpenter and so many other horror music artists that inspired us is very special," said Edward Douglas. In September of 2014, Midnight Syndicate Live! debuted at Cedar Point's HalloWeekends event. From the audience response, to the critical reception, to record-breaking attendance numbers, the show was an overwhelming success. 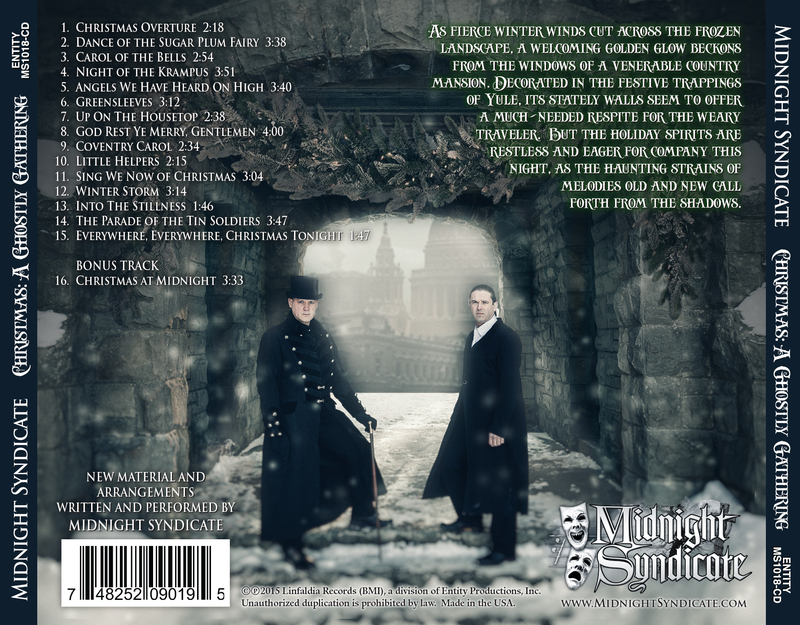 Although the band will be using 2015 to focus on the new album, plans for a return of Midnight Syndicate Live! in 2016 are already underway. "The success of the inaugural run of Midnight Syndicate Live! has ensured that live Midnight Syndicate shows will be a permanent part of our plans going forward," said Douglas. Midnight Syndicate's Monsters of Legend CD has won the category for BEST CD in the 12th annual Rondo Hatton Classic Horror Awards. The Rondo Awards are a great honor in the horror industry and we appreciate everyone who voted! "Our goal with Monsters of Legend was to transport the listener into the world of classic horror," said Edward Douglas. "So to be recognized both by horror fans and an organization like the Rondos which is heavily rooted in classic horror movies, means a lot." "We really enjoyed being able to draw upon the classic horror scores, themes, and characters to create something uniquely our own," added Gavin Goszka. This award marks the second win for Midnight Syndicate. The first came in 2011 when they won the BEST CD category for Carnival Arcane.